Before and after World War II, radio made a big impact by not only bridging vast distances, and bringing communities closer together, but also entertaining the masses and comforting the lonely. For the first time people could be entertained in their home with out need to buy gramophone records, own or play a musical instrument, or engage in a sing-a-long around the family piano. There was no need to venture out to a concert, theatre performance or movie screening. Once one could afford a radio set and pay the licence fee, the joy was potentially limitless with every genre catered for from sporting events, news and information, music recitals, quiz shows, comedy performances to dramatic enactments. 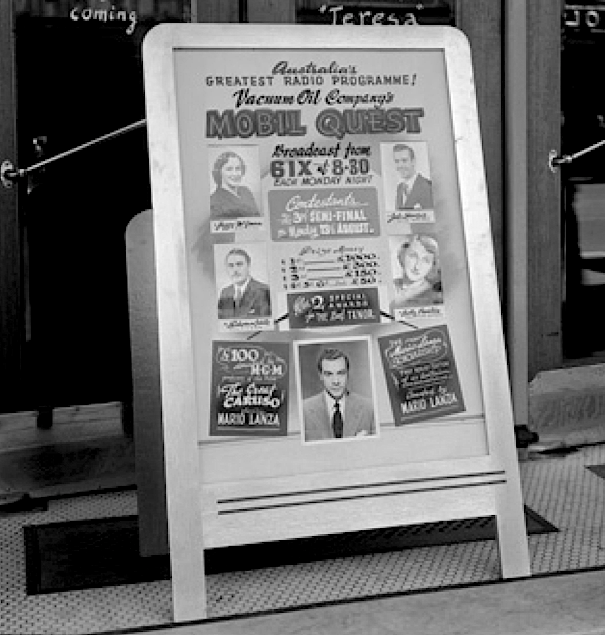 The most popular radio performers became big stars, much like the Hollywood experience. In the early years of radio in Western Australia, 6WF (as it was known then, rather than the ABC) had great popularity until the commercial stations started making inroads with programs aimed more at the common people rather than the intelligentia and elite. Women played an important role in the early radio industry. By the mid-1930s, women were on air as announcers and working in radio production, gaining prominence as producers, directors, writers and performers. There was Miss Joan Allen (Aunt Mary) on 6ML, Miss Laurel Berryman conducted the 6ML Women’s Session, Nell Shortland-Jones (1907-1994), was a broadcaster and entertainer who appeared on 6ML as a soprano in 1930 and later as a presenter on 6PR and 6IX with television appearances on the TVW woman’s show called Today, hosted by Lloyd Lawson (Nell also travelled about with her Concert Party for the elderly and hospitalised), Miss Gladys Millar conducted the 6PR Woman’s Session, Miss Isla Hayles (Aunt Isla) on 6PR’s Children’s Session, Miss Peggy Nunn (Auntie Peggy) worked on the 6WF Children’s Session, plays and reviews before joining 6PR, Mrs Dorothy Graham (Dorothy Manning) was a performer on 6WF and wife of early 6WF evening announcer Harry Graham who later became the drama producer before Tony Turner took on this role. As staff went off to war they were replaced temporarily by women, the first ABC woman announcer appointee was Margaret Doyle, in 1940, and by 1942, there were 19 women announcers, where in WA, Phyllis Hope-Robertson was reading the News. During the war, women also became sound effects officers, technicians and journalists, Catherine King (1904-2000), the daughter of prominent Perth academic Walter Murdoch, was first to organise the ABC’s “Kindergarten of the Air” with Margaret Grayham as presenter, King then went on to refurbish the ABC’s Women’s Session in 1944 as presenter for 22 years, Irene Greenwood (1898 – 1992) also worked on the ABC Woman’s Session from 1936 to 1940 then by 1948 Greenwood was running her own women’s session for the Whitford’s 6PM-AM commercial network. Jack Davey (1907-1959) was a New Zealand-born star of Australian commercial radio who made a big impact in the 1930s, ’40s and ’50s. At the same time he became the voice of Fox-Movietone newsreels, a position he held for 25 years. His radio shows were recorded before a live audience in Sydney, and distributed on disc to network stations. Though he did travel further afield to record a show on the grassed oval at the Perth zoo in the 1950s. Davey had a sharp wit, but made his mark as a radio performer rather than television, which by then he was suffering the ravages of cancer prior to his death on 14 October 1959, two days prior to TVW opening in Perth. A reported crowd of 100-150,000 people attended his funeral service at Sydney’s St Andrew’s Anglican Cathedral. He will be remembered for his charm, spontaneity and wit, which was delivered in a warm, rich voice on radio, but sadly in the late 1950s his thin, gaunt and ageing appearance failed to attract television viewers. Bob Dyer (1909-1984) was both Davey’s rival and occasional marlin fishing partner, as depicted by the cinema newsreels. 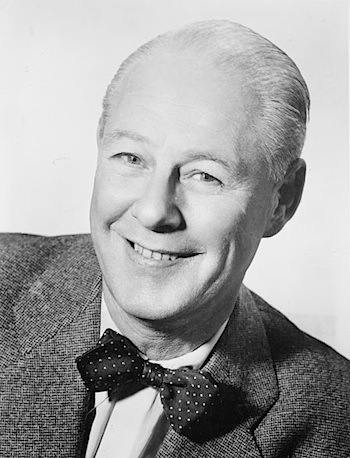 Dyer was an American-born vaudeville entertainer, radio personality, and radio (1940s and 1950s) and television quiz show host (from late 1950s) who made his name in Australia with such shows as “Can You Take it?”, “It Pays to be Funny” and “Pick a Box”. On June 30, 1936, there were 50,000 licensed listeners in WA and the 100,000 goal was reached in March, 1946. In 1936, the W.A. Broadcasters Ltd owned 6WB Katanning was officially opened on the 26th September with its first studios situated above the Musgroves shop, known as Lyric House, Murray Street, Perth. The service was broadcast on a wavelength of 280 metres or 1070 kilohertz at a power of 2000 watts. 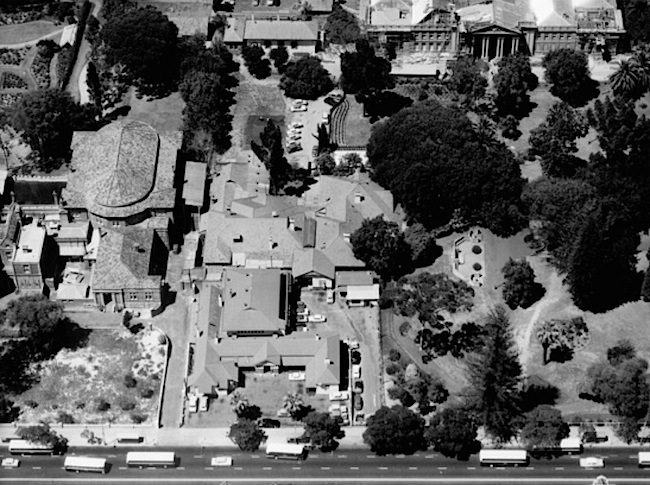 In 1937 the ABC moved its studios and staff to St Georges Terrace, located on the edge of the Supreme Court Gardens, next to the Government House Ballroom and behind the Department of Agriculture, where Council House now stands. The ABC building was called ‘Broadcast House’. Also in 1937, 6PM became Perth’s third commercial radio station (launched on April 22, 1937 on the frequency 1000 kHz) transmitting from a site in Palmyra and stayed there until they was moved to a transmitter site at Coffee Point in 1942, on the south side of the Swan River, near the South of Perth Yacht Club, after approaches to the prime minister John Curtin were made to shift to this site. The company directors were Frank Whitford, Perth (Managing) and his brother Archer Whitford, who lived in Sydney. 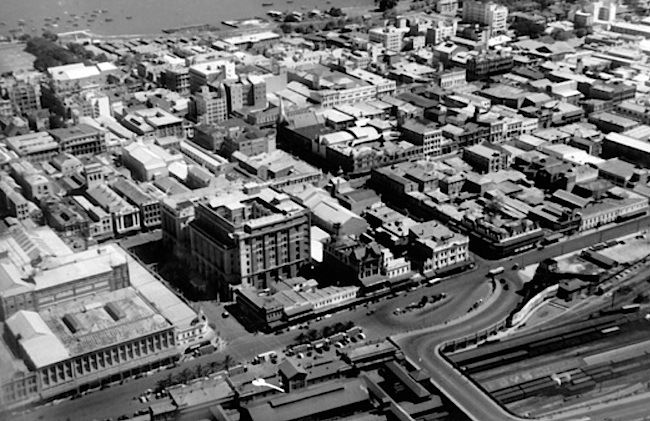 The first studios were located at 23 William Street, Perth, which was where Whitford’s theatre advertising and photographic theatre slide making was conducted. Both 6PM and 6AM broadcast from this building until they moved to St. George’s House, 115 St Georges Terrace in 1953. Whitford Broadcasting Network came to comprise 6PM Perth, 6AM Northam, 6KG Kalgoorlie and 6GE Geraldton. Early announcers on 6PM included John Luke, Kevin Whitby, Noreen (Margo) Leen and Nell Shortland-Jones. Other loved personalities over the years included: Brien Thirley, Graham Gooden, Alan Robertson, Graham Bowra, Keith Taylor, Tony Barber, Philip Clark, Ashton Farley, Peter Chaplin, Steven Cooper, David Ellery, Laurie Henry. Programme managers included Jack Anstey and Monty Menhennett. Betty Farrington was heard broadcasting Community Announcements. By 1937, Family serials were very popular, such as Dad and Dave, based on Steele Rudd’s classic On Our Selection (1899), which first went to air that year. 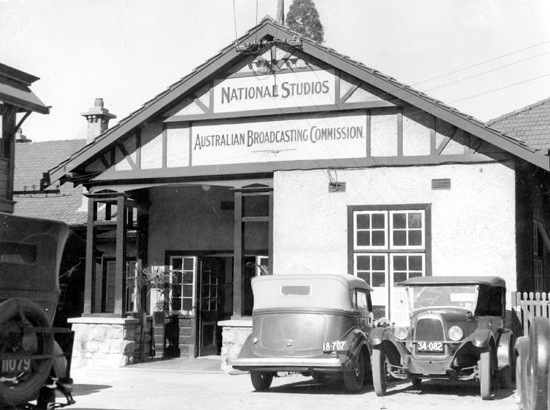 The ABC’s second radio station in Perth, 6WN opened on October 12, 1938. The transmission mast was sited on top of the GPO in Forrest Place, where it would stay as a landmark until removed during the second world war as a potential hazard. The local ABC manager was then Conrad Charlton. The first car radios were produced in 1938, though the valve technology made them much bulkier than the modern transistor variety. Listening to the radio was one of the most popular means of entertainment and relaxation in the war years 1939-1945. It offered serials, comedy shows, news broadcasts, music and plays. Though from a news point of view, most information from the war front was rigidly censored. By 1939 all Australian capital cities except Darwin were connected through a national network of ‘voice grade’ lines and 50% of services through automatic exchanges. In this same year, TVW and STW personality Lloyd Lawson began his broadcasting career at 6PM at the age of 17. After AWA installed the equipment and six months testing at the Waterloo transmitter site (a small town in the South West region of Western Australia, located on the South Western Highway between Bunbury and Brunswick Junction), Nicholsons Ltd launched 6TZ, and in October 1939. This station went on air relaying by land line 6PR’s programming. It was not until June 1960 that Nicholsons Ltd built a one room studio in the back of their Bunbury store that local programming began fully in Bunbury 0600 – 1400, then relay 6PR until 1700, local programme from 1700 to 2230 close weekdays. On the weekend Saturday and Sunday, there was a relay of 6PR program. Between 1939 and 1945, as a result of the outbreak of World War II, the Royal Australian Navy again took over control of the Applecross Wireless Station, along with all other coastal radio stations in the country. Widespread use of the wire and oxide coated tape-recording devices occurred within the decades spanning from 1940 until 1960. Tape-recording was to revolutionise the industry, enabling the time shifting of programs from one time zone to another and the convenient recording of all types of program material. 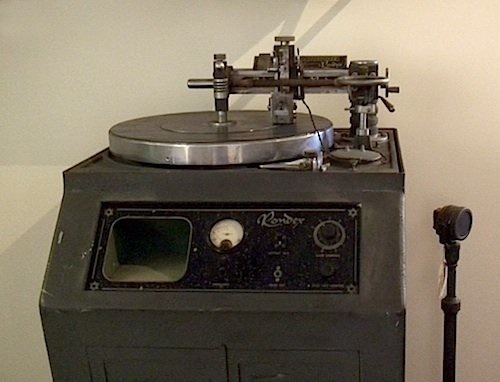 Up until 1950, disc lathes were used to cut gramophone recordings of important content. The early variety of disc was wax coated, but subsequently a cellulose acetate coating was used. Mischievous technicians at the ABC’s Broadcast House would make swarf bombs from the acetate cuttings. Nothing excessively dangerous, other than they would set off an incredibly pungent cloud of smoke. In hindsight the practice was most likely unhealthy if the smoke contained carcinogens. Staff used ingenuity to set them off. One method was to place fuse wire across the 12 volt terminals of a scope soldering iron, which would ignite the cuttings as it warmed up. Much hilarity ensured as staff witnessed the pandemonium generated amongst the unsuspecting victims. In 1941, the newest station in town 6KY opened on 23rd October on a broadcast frequency of 1210 kHz – which was changed to 1206 kHz in 1978. 6KY was the fourth commercial station in the city and the last one to open in Perth for the next 39 years. Its regional station 6NA Narrogin opened on 1951. The stations were owned by the Australian Workers’ Union (AWU), the largest union in the state. Interestingly, accusations of political bias were to result from this ownership when the State president of the Liberal Party (Mr. J. L. Paton) alleged censorship of a script by Miss Battye, a member of the Liberal Party, claiming the station was owned by the Labor Party. This was reported by The Courier-Mail on August 9, 1945. In 1941, the W.A. Broadcasters Ltd owned 6MD Merredin was officially opened on the 5th July with its first studios situated above the Musgroves shop, known as Lyric House, Murray Street, Perth. The service was broadcast on a wavelength of 273 metres or 1100 kilohertz at a power of 500 watts. Early in 1942, in the midst of the second world war, all ABC and commercial stations took the Australian and overseas news component from the ABC, concluding on the sound of a gong. These news bulletins were scheduled at 7.45am, 12.30pm and 7.00pm. The Commission offered this service free to those commercial stations wishing to take it. The arrangement was discontinued in 1944, but a large number of stations, particularly in the country areas, continued to take the news service. 6PM was the last commercial station in Perth to give up taking the ABC News, in 1964. 6PM’s early newsreaders were Brian Hocking (ex 6PR), Bill Gill, Peter Holland and Doug Foley. Bill Gill later became a TVW-7 newsreader whilst Peter Holland joined the ABC in 1966 and then in 1998 moved to STW-9 to read the television news until 2003. Doug Foley joined the ABC in 1975. From 1942, the AWA experimental operation was removed from the Applecross Wireless Station and the remaining operators were all shifted into the Engine House which became the Main Transmitter Hall after the generating machinery was removed. In 1943, 6ML merged into 6IX. 6ML went off the air on 30th May 1943, some say owing to an oversight in that someone forgot to pay the license. Another explanation was that the staff was depleted due to men enlisting during the war. With the manager going off to war, it may have contributed to this oversight? The 6ML studios were taken over by W A Broadcasters who then held the license for 6IX (West Australian Newspapers Ltd.). The merged operation began transmission officially on 17th August 1943.
in 1943, the Applecross Wireless Station operating staff were moved to Bassendean where they were placed in a concrete bunker for protection during the war, until 1946, when the operators returned to Applecross, and the former Operator’s Room became offices. In 1946 the federal government acquired AWA’s shortwave broadcasting assets, which formed the basis of the Overseas Telecommunications Commission (OTC), a new statutory body created under the Postmaster-General’s control, with responsibility for the nation’s international telecommunications services. Later OTC came to have responsibility for satellite links, commencing with INTELSAT II (International Telecommunications Satellite Organisation) in 1966 and the first international satellite broadcast between Australia and the UK takes place. 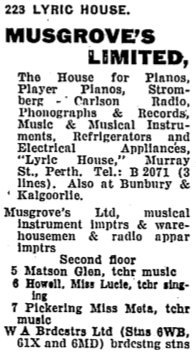 In 1947, OTC took over control of Perth Radio and other wireless stations from the Postmaster General. They moved the receiving equipment to Bassendean and the transmitter operators to the old Cable Station at Mosman Park. Under 1946 amendments to the Broadcasting Act, the ABC was required to ‘secure its news for broadcasting purposes within the Commonwealth by its own staff, and abroad through such overseas news agencies and other overseas sources as it desired’, together with its own overseas staff. Then on 1st June 1947, the ABC established an independent news service with journalists and a full time News editor in the outlying States. Also in 1947, Nicholsons launched the AWA equipped 6CI Collie, as a relay station of 6TZ Bunbury. In 1948, Columbia Records introduced the first successful microgroove vinyl disc, the 12-inch, 33⅓ rpm Long Play (LP) high fidelity record, followed by stereo pressings a decade later, which revolutionised the music-industry until the Compact Disc (CD) became commercially available in 1982. Pop songs were released as singles on 7-inch discs at 45 rpm, whilst the same size at 33⅓ rpm were termed Extended play (EP). Not only was the better quality and longer duration an attraction, but the older 78 rpm format was brittle and relatively easily broken, both the microgroove LP 33⅓ rpm record and the 45 rpm single records were flexible and unbreakable in normal use. Radio continued to be an important and inexpensive means of entertainment post-war. Listeners of that period fondly remember the serials and children enjoyed ‘The Argonauts Club’ (1941-1972). By 1950 there were over 50 000 Club members. Radio stars of the post war period were as popular as TV stars today. 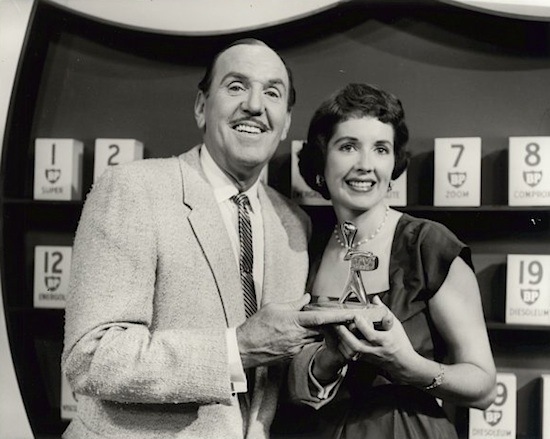 In 1949, the first episode of Blue Hills by Gwen Meredith went to air on the ABC, which ran for 5,795 episodes until 1976. Over the years more than 1,000 actors had parts in Blue Hills, including Rod Taylor, John Meillon, June Salter, Ruth Cracknell, Gwen Plumb, Ethel Lang, Neva Carr Glyn, Amber Mae Cecil, Rupert Chance, Max Osbiston, Nellie Lamport, Joan Bruce and the series matriarch, Queenie Ashton. Blue Hills began in February 1949 as a sequel to Gwen Meredith’s earlier five year long serial, The Lawsons. In 1950, the 6PR transmitter moved from the Applecross Wireless Station site down to a new location at Alfred Cove on the Swan River, then when that site was demolished they joined 6PM on their former mast at Coffee Point, opposite the South Perth Yacht Club. Since the demolition of that transmitter site, 6PR has joined ABC radio at the Hamersley transmitter site. 6PR’s original broadcast frequency was 880 kHz – a position that it stayed at until 1978 when it moved slightly up the dial to 882 kHz with the advent of 9 kHz spacing on the AM dial. The station still broadcasts on that frequency today. In 1950, 6IX broadcast the outstanding New South Wales soprano Joan Sutherland, of Woollahra, winning the grand final of the 1950 Mobil Quest before a capacity crowd at the Melbourne Town Hall. She revealed her plans for an oversea trip to England to continue her music studies. 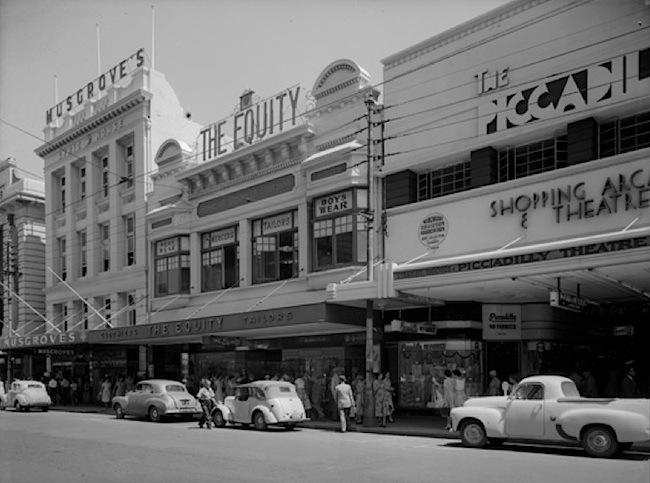 The following year, the Metro Theatre in Perth was the venue for the third semi-final of the Vacuum Oil Company’s Mobile Quest, with the series broadcast by 6IX on Monday nights at 8.30pm. Joan Sutherland went on to study in London at the Opera School of the Royal College of Music and become one of the most remarkable female opera singers of the 20th century, receiving many honours and awards. Dame Joan Alston Sutherland, OM, AC, DBE died at her home at Les Avants in Switzerland of cardiopulmonary failure on 10 October 2010. In 1953, the second 6BY, this time servicing Bridgetown, was launched on the 24 January 1953, many years later at Yornup (situated between Bridgetown and Manjimup) one of the country stations. ABC: VLW, VLX (short-wave aimed at the North West), 6WF Perth, 6WN Perth, 6WA Wagin, 6GF Kalgoorlie and 6GN Geraldton. Commercial: W.A. Broadcasters Limited (61X-WB-MD-BY), Whitford network (6PM-AM-KG-GE), Nicholson’s Limited (6PR-TZ-CI), Australian Workers’ Union (6KY-NA). Interesting historical information here. Just a small point, 6PR’s transmitter is not located at the ABC site in Hammersley. After the Coffee Point transmitter site was vacated, 6PR relocated to Ascot at the 6IX site. There are now 3 services operating from that site..
HI … My Great great grandmother was a radio announcer in the 1940’s. I would love to be able to hear her voice and I was wondering if there are any recordings around of shows form the early years. Her name was Edith Hamilton-Broad. Publisher: Perth : Imperial Printing Co. I found reference to another story called Pioneer. But maybe this is not the same person? To find her name for ABC radio, try looking in Trove online for Australian newspapers. Here her name is not hyphenated. My friend lives in a house on the old site of 6PM when it was located in Palmyra (1937 to 1942). The concrete pads are still there to this day for the radio mast. She even has some of the old cabling used for the mast. The site is located on Aurelian Street (North), Marmion Street (South), McKimmie Road (East) and Adrian Street (West) the site address it’s self I can not give out because of the owner’s wishes for privacy. Has anyone information about Peter Chaplin, restaurateur in Perth in the ’80’s. He was co-presenter with me in a TV show called ‘Not Another Cooking Show’ filmed in 1982. Does anyone have any details of stereo broadcasting by the ABC in the early 1960s. They used 6WF to broadcast the left channel and 6WN to broadcast the right if memory serves.